Cook Door, Founded in 1988, has earned a reputation for excellence within the Egyptian market. This reputation is based upon community involvement, a friendly atmosphere, outstanding products and friendly service. 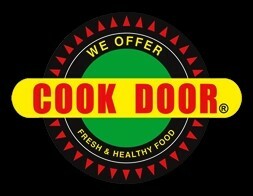 Construction Development Center was awarded the inauguration of Cook Door Fast Food restaurants in Africa & Middle East. The Scope of work included all Roxy branch renovation.